Building on the success of the venerable Suunto Vector, the Suunto Core keeps you informed of conditions while you hike, bike, or camp, making it a terrific companion for outdoor enthusiasts of all stripes. What can the Suunto Core do for you? For starters, it can sense an approaching squall even when the sky looks clear. This intelligent Storm Alarm–one of several intelligent features designed to keep you safe and secure–is activated by a rapid drop in air pressure over a three-hour period. Once the Core senses the change, the Storm Alarm sounds and flashes, letting you know that something unpleasant is fast approaching. The built-in altimeter, meanwhile, displays your current elevation, shows how much you’ve climbed or descended, and records your entire session for later analysis. Accurate to within 30,000 feet, the altimeter is an extremely valuable tool for mountaineering, backcountry skiing, and wilderness travel. Add in such additional features as a barometer, a digital thermometer, a weather trend indicator, and a digital compass and you have a terrific wrist-top computer for almost all your outdoor needs. The altimeter contributes to your excursion in several ways. If you’re standing on or near an obvious geographic feature, such as a ridge, trail, or creek, the altimeter can alert you to your current elevation and help you find your position on a topographic map. Similarly, if you plan on climbing a slope to a certain elevation and then traversing, the Core can help you stay on course. And as a bonus, the Suunto Core includes a unique start-from-zero function, so you don’t have to enter a reference altitude. Instead, with the single push of a button, the altimeter will begin tracking your ascent and descent. The Core also includes a barometer, which measures and records air pressure to help you predict changing conditions–from sunny skies to hair-bending electrical storms. The barometer helps you decide whether to bring a soft shell or rain shell jacket when the skies look ominous, or even when to high-tail it back to the car. In general, low pressure brings inclement weather, while high pressure brings stability and clear skies. If you’ve arrived at camp and notice the pressure starting to plunge, it’s probably a good idea to secure the tent and crawl in. Likewise, if you were on a climb, it would be prudent to find shelter and retreat. Even at home, the Suunto Core barometer can look beyond office walls, skyscrapers, and nearby hills to help you plan for upcoming activities. If you want a weather forecast that extends out a few hours, you can turn to the built-in weather trend indicator. The indicator shows the barometric history for the last three and six hours, helping you predict the weather with amazing accuracy. What’s more, the watch doesn’t give you a regional forecast posted earlier in the day, but rather the most current information about the weather directly overhead. And no outdoor watch is worth its salt without a digital compass, a great tool for keeping track of your direction while skiing, hiking, or exploring a new city. You can set and follow a bearing with a traditional rotating bezel, or simply point the top of the watch toward your intended destination and lock it in. In the 1960s, the compass range grew further and Suunto introduced its first diving compass–initiated by the divers themselves. A British sports diver attached a Suunto compass to his wrist and found that the device also worked underwater. Thanks to his feedback and initiatives, the new business category was found. Suunto’s exports and business grew steadily and Suunto then focused on combining its strength in precision mechanics with new skills in electronics. Accuracy, reliability, and ruggedness have been Suunto’s key values from the very beginning of the company history. 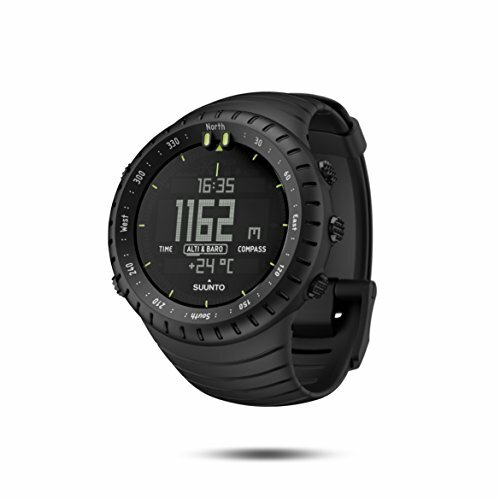 Today, Suunto is a leading designer and manufacturer of sports instruments for training, diving, mountaineering, hiking, skiing, sailing, and golf. True to its roots, Suunto is today the world’s biggest compass manufacturer. Prized for their design, accuracy and dependability, Suunto sports instruments combine the aesthetics and functionality of watches with sport-specific computers that help athletes at all levels analyze and improve performance. Headquartered in Vantaa, Finland, Suunto employs more than 500 people worldwide and distributes its products to nearly 60 countries. The company is a subsidiary of Helsinki-based Amer Sports Corporation with the sister brands Wilson, Salomon, Atomic, Precor, and Mavic. Suunto was founded in 1936 by Tuomas Vohlonen, a Finnish orienteer and inventor associated with the liquid-filled compass. 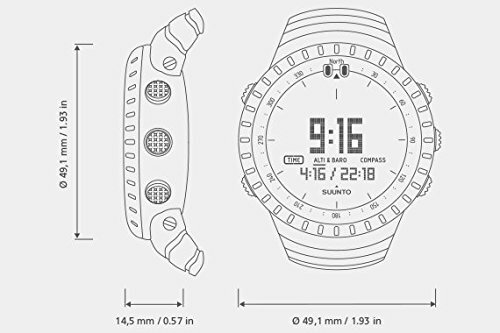 Since that time Suunto has been in the forefront of design and innovation for sports watches, dive computers, and instruments employed by adventure seekers all around the globe. Through the highest mountains to your deepest oceans, Suunto physically and mentally equips outdoor adventurers to conquer new territory. In the last few years, Suunto has been in the leading edge of developing new GPS technology all packaged into sleek and innovative wrist-top formats. 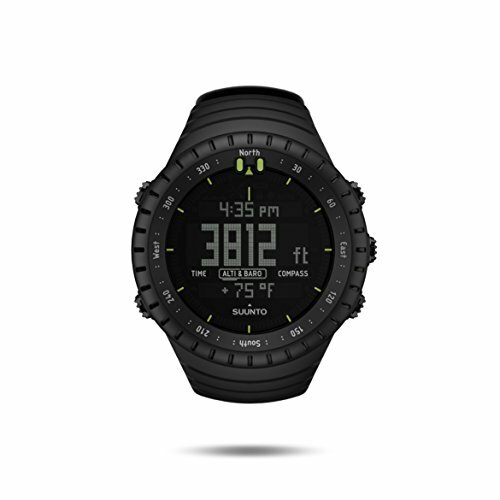 The Ambit family of watches has gotten numerous design rewards and big accolades within the outdoor industry for presenting new groundbreaking technology towards the marketplace. The Suunto Apps Zone now enables the city to produce sport specific features for Ambit users. Popular apps such as the Ghost Runner, Ascent to Peak, Oxygen Level and Running Efficiency all enable you to customize the Ambit as the own. If you fail to find what you want, you may also create your own app. Whatever your active pursuit, Suunto gets the instrument to help you in your outdoor and lifestyle pursuits. When you buy it, it is yours, no refunds.